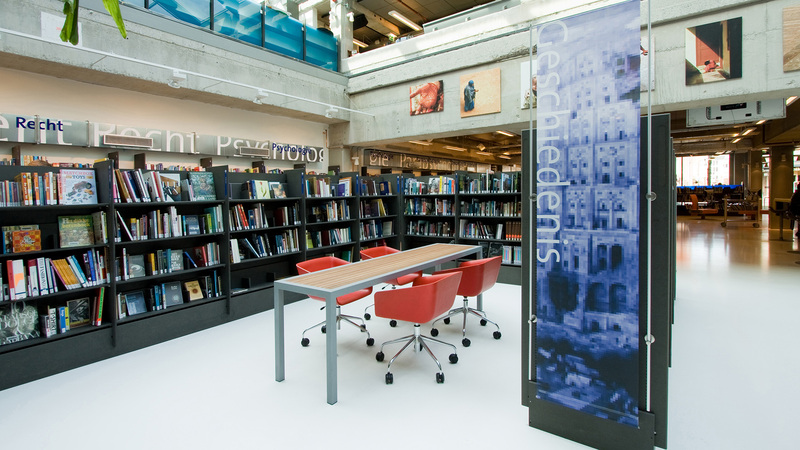 The Municipality of Delft was struggling with its dusted public library. The library was drowning in the old city block. 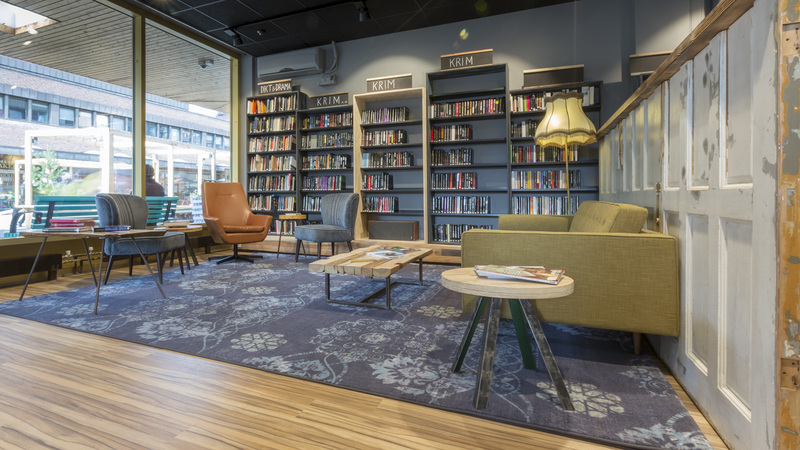 We brought the library back to life by turning it into a library concept centre, adding a massive splash of color and embracing the old city block’s charm. Nomen est omen. The name is a sign. 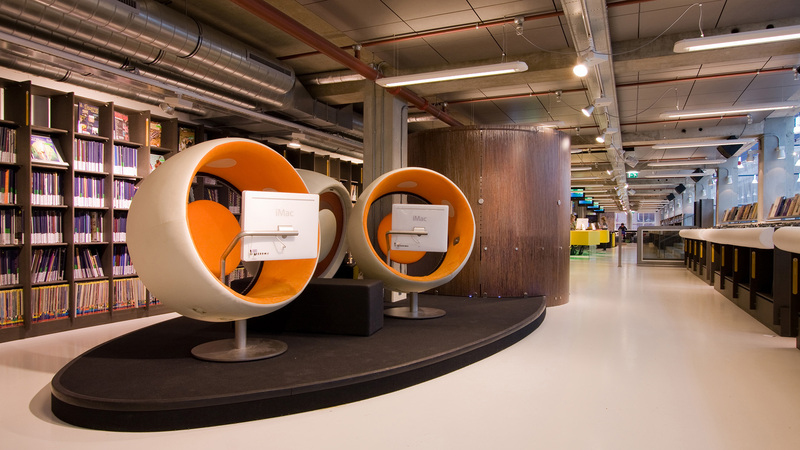 In order to breathe new life into the library and get people curious, we renamed it to library concept center. This name already implied what we were going to achieve- a giant step away from the stereotypical library. It had to be exciting and inspiring. 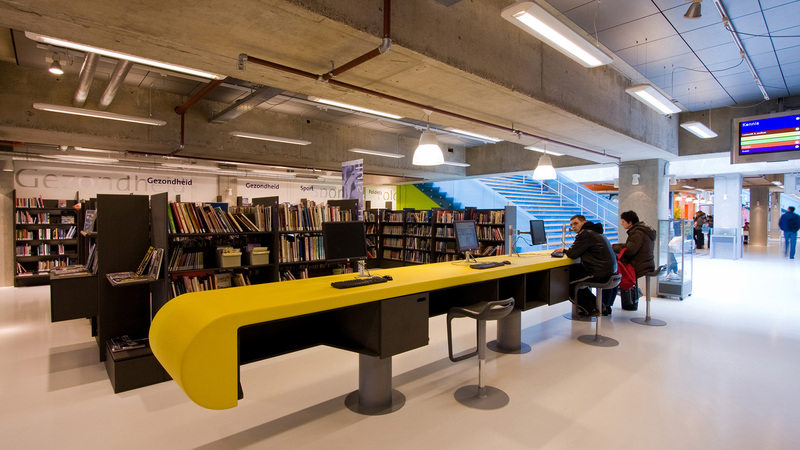 One of the first steps was creating more space for people and storing books in a pragmatic manner. Many bookshelves were equipped with wheels. 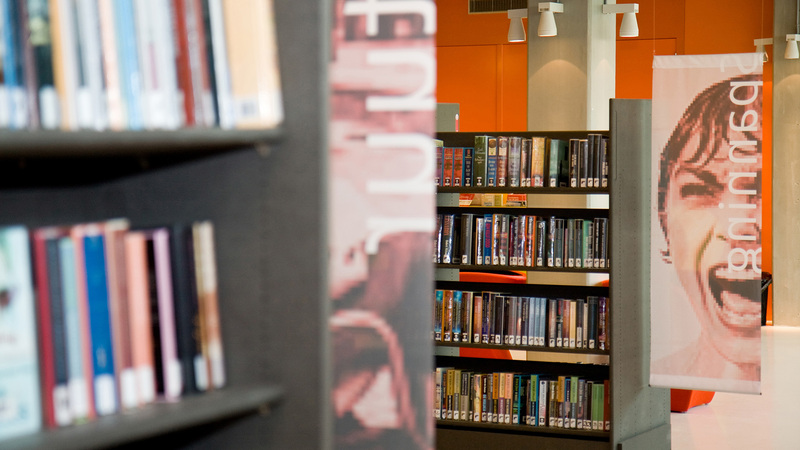 These rolling shelves were easy to rearrange and allowed patrons to move them around as desired, making space for readings and other programmes. 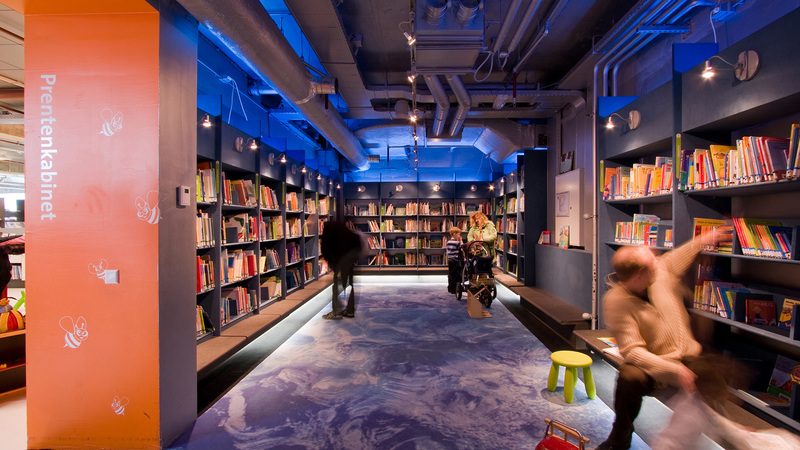 A giant step away from the stereotypical library. 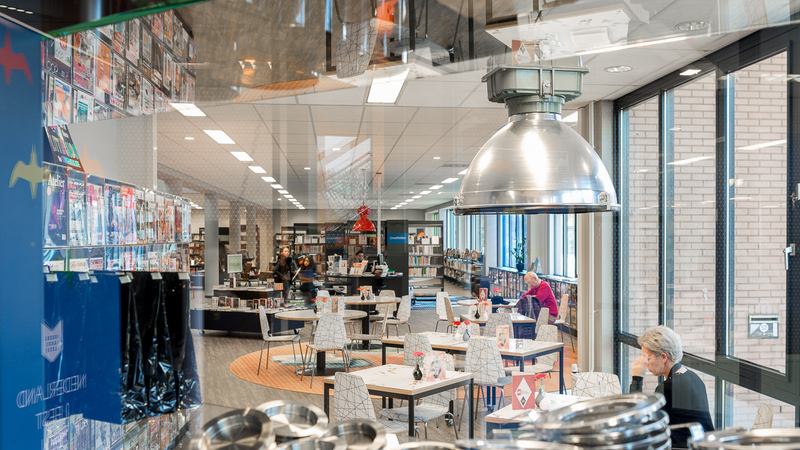 Libraries are commonly associated with silence and librarian with scary glasses telling you to, “Shhhh.” DOK Delft Library Concept Centre turned this expectation around completely. By daring to introduce opening listening station pods for people to listen to music, we showed people that the main priority was their comfort. 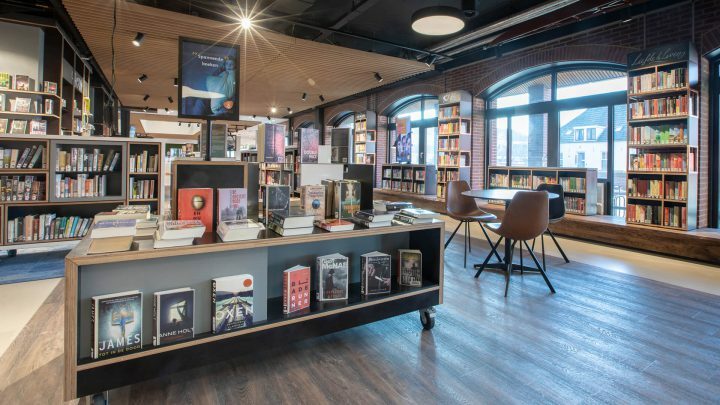 With video games, a rotating art collection, a piano, exciting programs, toys for children, a brightly-lit room for graphic novels, a café and an entire room in vivid red dedicated to romance novels, DOK became an inspiring and fun place. Adding pops of color invited people to interact with the environment. A colorful, spacious and inviting environment encouraged people to take part. Once you realize that you can play Xbox, listen to Spotify and have a good coffee, you are also more likely to pick up a book. 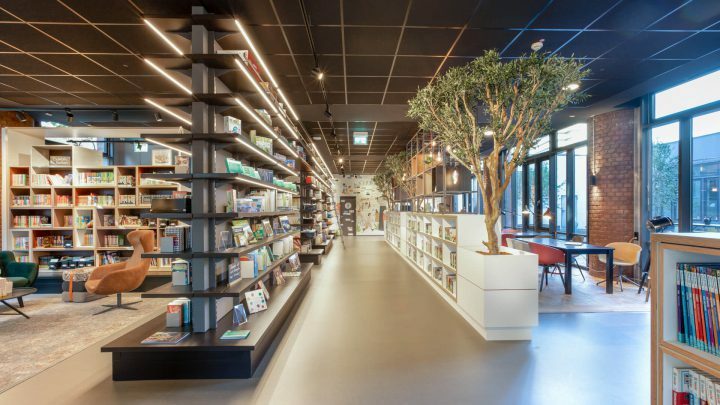 Bright, transparent and vivid, this library now initiates close encounters of people, media and ideas. This innovation did not go unnoticed. 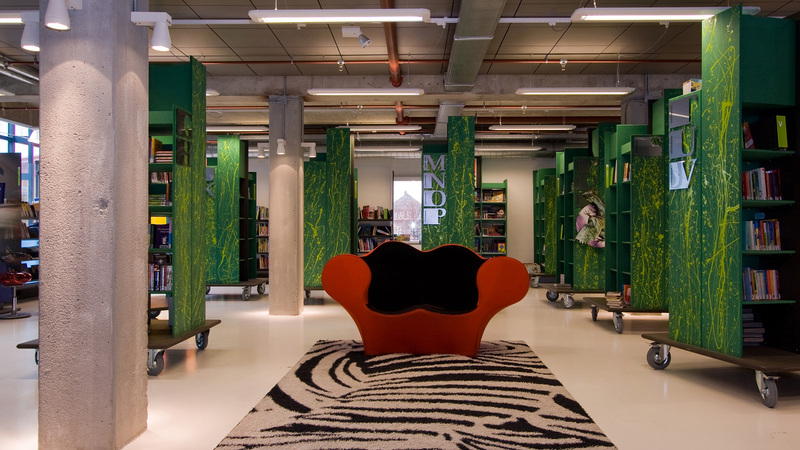 The DOK Library Concept Centre was nominated for the prestigious international LEAF Award in 2007. 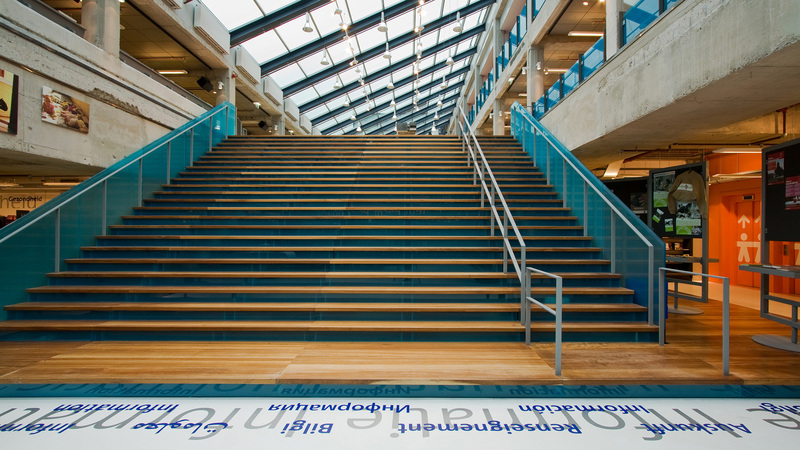 In 2008, the Shifted Librarian called it the most modern library in the world. 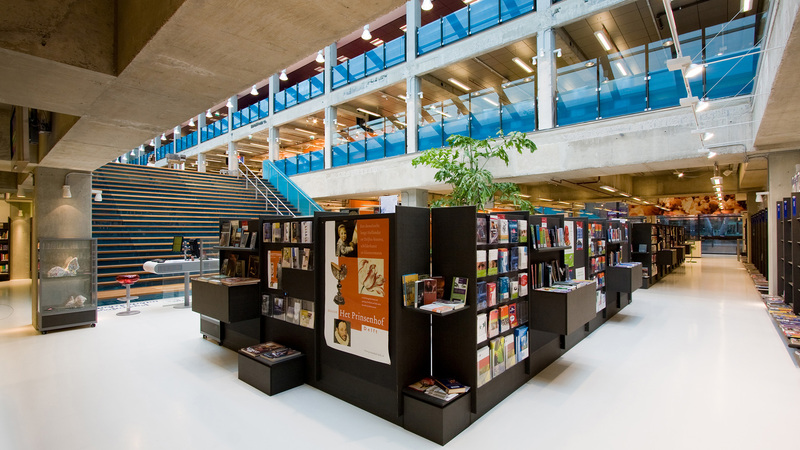 It was also awarded Best Library of the Netherlands in 2009, with special appreciation for the interior design. This urban renewal project inspired the public and allowed a municipality to reinvent itself with a space that is memorable due to striking visual appeal coupled with digital and real life experiences. 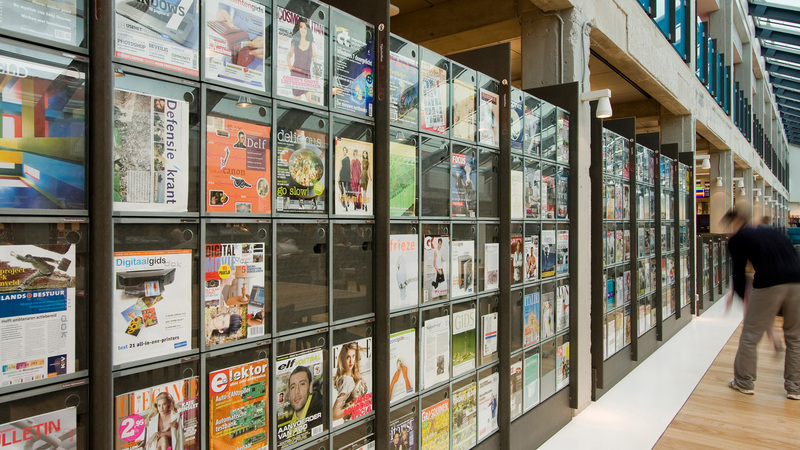 Design in close cooperation with Liesbeth van der Pol, DOK Architects, Amsterdam, the Netherlands.